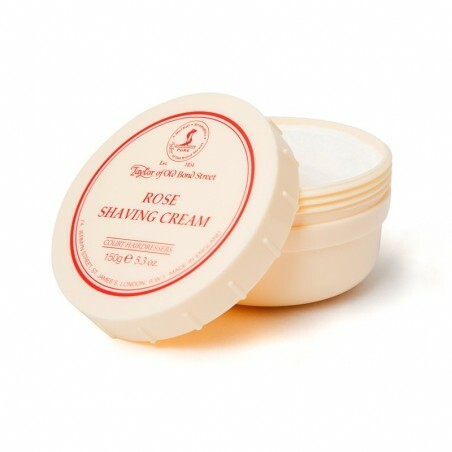 Home Shop by Category Shaving Creams Taylor of Old Bond Street Rose Shaving Cream Bowl 150gr. Taylor of Old Bond Street Rose Shaving Cream Bowl 150gr. Taylor of Old Bond Street Rose Shaving Cream Bowl 150 gr. This rose fragrance shaving cream bowl. 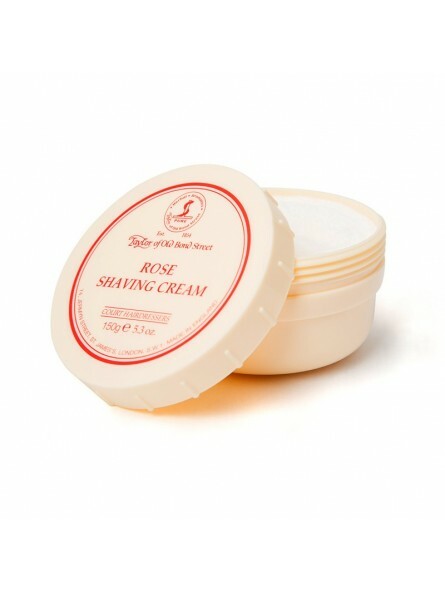 A luxury Shaving Cream that creates a uniquely smooth and creamy lather from just a small amount of cream whilst protecting and moisturising the skin to give a closer, better shave. The fragrance is mild smelling with lots of spicy notes. Rose aroma: Floral notes combining rose and geranium spiced with cinnamon and clove.